Mary After been called to service, I found a deep connection with Archangel Michael's well in Lixnaw County Kerry. As a child, my intuitive gift was well recognised by my family. A traditional Irish family, with deep religious beliefs and convictions common with the culture of the time. A natural intuitive healer, my gifts and my understanding strengthened by my journey through Reiki. Divinely guided and challenged by life, I embarked on a voyage of self- discovery, a journey that will continue for the rest of my life. I have now developed a following around the country with a strong presence at the shows and my clinic's in Cork, Tralee, Limerick, Ennis, Galway, Castlebar and Dublin. Mary now offers house parties readings throughout the country and is available to come to your home for a Spiritual evening. Enquires 087 7071587 or Text, Email: marymadiganspiritualpsychic7@gmail.com. Mary and Special guest will be hosting An Evening with Spirit night in different areas, to Hold Spaces register to sent details at 087 7071587 or Text, Email: marymadiganspiritualpsychic7@gmail.com. 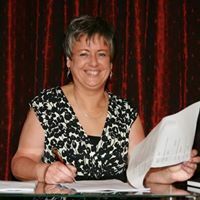 You can Book a one to one reading or healing session with Mary at 087 7071587, But remember will also see me at the holistic shows around the country. Mary also accepts credit card payments. Katie woods  26 weeks ago Mary Madigan is absolutely fantastic. The first time I went to her she told me things that happened that I never even said out loud. I can't praise her enough. She's phenomenal. Whenever I see an event that she's at I make it my effort to go to see her again. Her healing also works wonders. Honestly, I can't recommend her enough. Always spot on with everything. I love her as a person and as my spiritual reader and healer. Wouldn't go to anyone else she's that amazing. Joan R  26 weeks ago I had a bad fall in 2010 and was attending 2 physiotherapist's for 7 years with neck and back pain. Neither of them could tell me why this was....1 visit to Mary and she told me my back needed to be straightened. I discovered I had slipped discs for 7 years! Mary is very gifted. Steve Neiland reviewed Mary Madigan Spiritual Psychic Reader/Healer — 5 stars May 26 · Truly inspirational Mary is amazing .honest and well-guided advice I found my spiritual awakening through Mary. Margaret Coffey reviewed Mary Madigan Spiritual Psychic Reader/Healer — 5 stars May 27 · Had a reading with Mary few yrs ago. Lovely gentle lady. I was impressed with what she could tell me. Josephine Killeen reviewed Mary Madigan Spiritual Psychic Reader/Healer — 5 stars May 9, 2017, · Mary brought up things that I had asked for to valid for me that she was in communication with my loved one. A wonderful reading, I would highly recommend her and will, indeed, visit her again. Many thanks, Mary. Lars Mc Brain recommends Mary Madigan Spiritual Psychic Reader/Healer. 11 mins · yes this woman is the real deal, a very kind and warm person and was so spot on with so many things about my life ...a real lady. just want to say thanks again, you were spot on with so many things ...thanks mary.